I may be hooked on Chainmaille now. 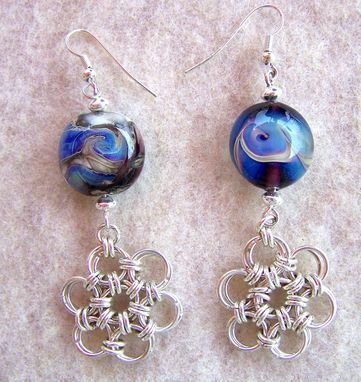 I learned how to do a couple of different designs and incorporated my own lampwork beads into some lovely dangling earring sets. This set is made with silver plate jumprings and sterling silver beads. The lampwork beads are lintel in shape and I used encased Double Helix glass to achieve the various tones of violet, blue, green, and gold. 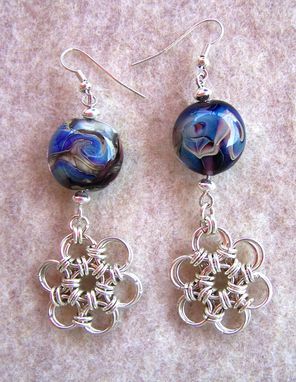 The set measures 7.5 cm / 3" in length. I think they are lovely and I hope you do too!